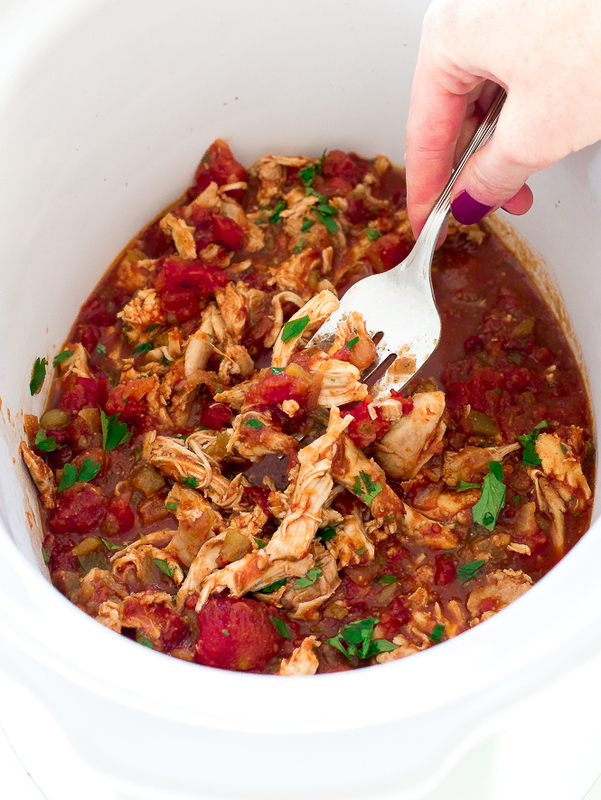 Easy Slow Cooker Mexican Chicken cooked low and slow for 4-6 hours with green chilies, salsa, and Mexican spices. Perfect for burritos, salads and tacos! This Slow Cooker Mexican Chicken goes perfectly in burritos bowls, quesadillas, tacos or alongside rice and beans. You can use it in so many ways and the recipe makes a lot! It is the perfect recipe to make at the beginning of the week so you have tons of leftovers. I made this chicken in my favorite crockpot. It’s what I use for all of my slow cooker recipes. This Mexican Chicken could not be any easier to make. 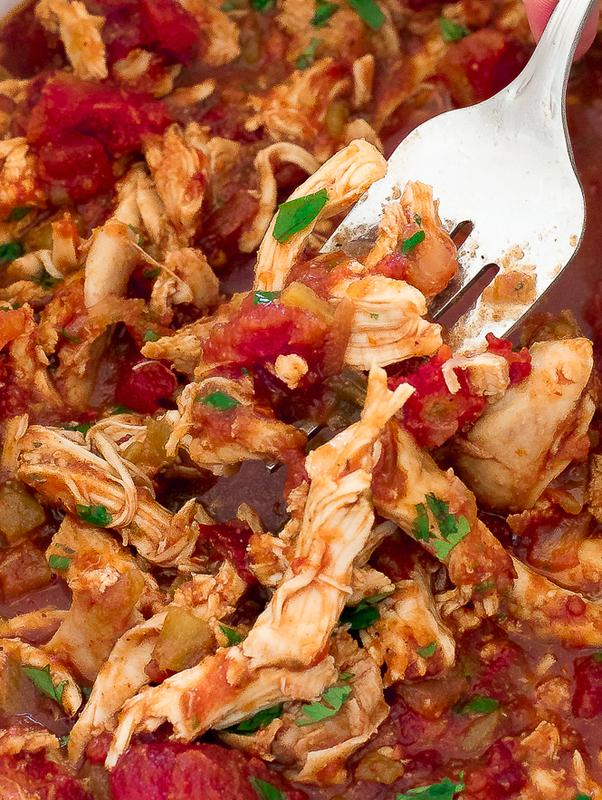 Simply add the chicken thighs, seasonings, green chilies, salsa and diced tomatoes. Stir then cook on low for 4 hours or until the chicken easily shreds. I add in two chipotle peppers for a little kick. You can always add more or less depending on your preferred spice level. When the chicken is done top with fresh chopped cilantro! 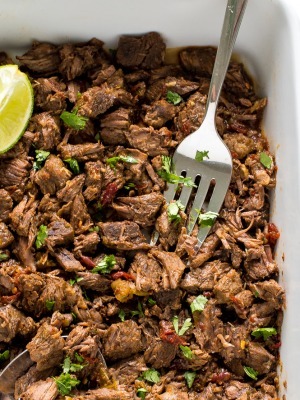 If you are looking for more Slow Cooker Mexican dishes try my Slow Cooker Barbacoa Beef and my Slow Cooker Mexican Beef. 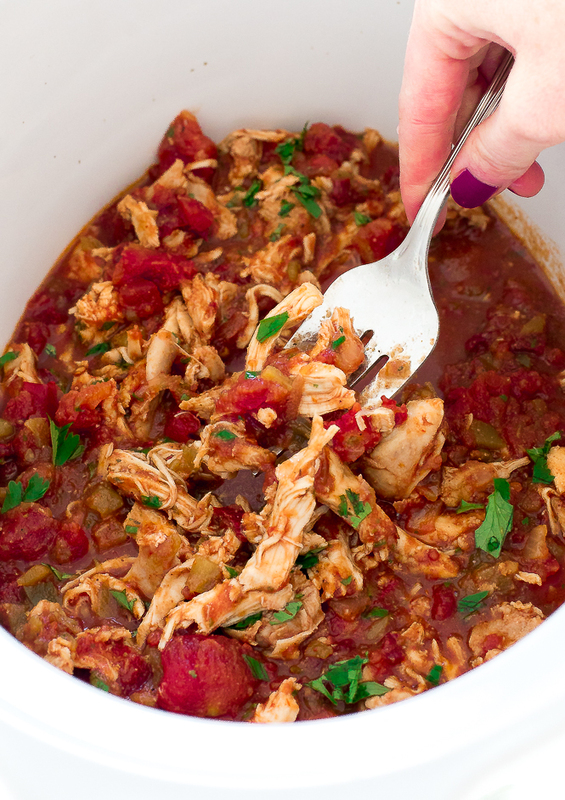 Slow Cooker Mexican Chicken cooked low and slow for 4 hours with green chilies, salsa, and Mexican spices. Perfect for burritos, salads and tacos! Add all of the ingredients to the slow cooker except for the salt, pepper and cilantro. Stir to combine. Serve immediately with cilantro if desired. This is very smart! Not just pulled chicken but spicy seasoned chicken. I need to use my slow cooker more often!